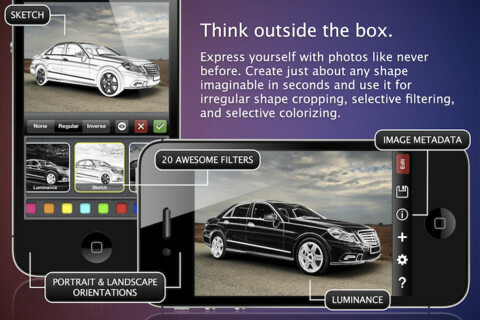 Developer Quote: "AnyShape - Photo Editor completely revolutionizes selective editing on the go." 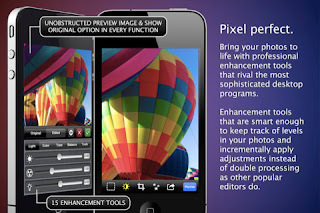 We are always on the prowl for awesome photo editing tools. So much is done with our photos nowadays between Pinterest and Instagram, family happenings, school events, etc., the list keeps growing! Basically, once you have your photo on screen, tap on it to position markers all around your desired area to crop. Jazz up your pic by manipulating its contrast, brightness, sharpness, color balance and use some other fine tune adjustments also. 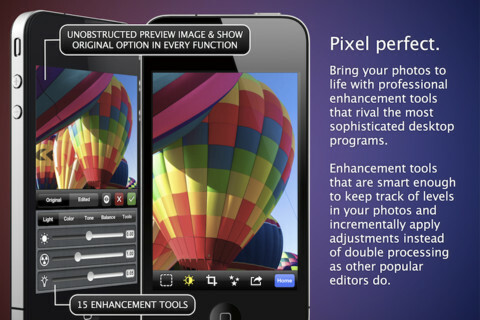 The beauty of this photo editing app is that it's not about cutting a ho-hum square, circle or rectangle. It's about irregular cropping, and that's tough to find on a mobile app! AnyShape - Photo Editor is generous in helping you get your pic exactly right with many levels of undo, 20 filters, 15 special enhancement tools and 30 colors to make your pic stunning. Check out the video to get a close up demo of exactly how innovative this app really is! COOL CONCLUSION: Use AnyShape - Photo Editor to crop irregular shapes and then enhance these specific cuts from your photos to create stunning and close up bits of art.